HYDE PARK — Hundreds of teens gathered in Hyde Park to party as Mayor Rahm Emanuel looked on and Barack Obama’s motorcade pressed through the crowds. 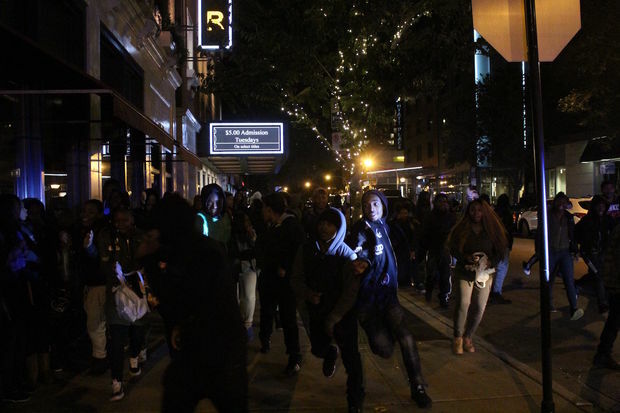 Nearly 400 teens came out Tuesday night in a much toned-down repeat of last year’s “Halloween Purge,” where more than 1,000 kids from across the city came to hang out, some of whom got into fights and tore up parts of the neighborhood. Wentworth District Cmdr. Crystal King-Smith said the worst issue this year was kids shooting at each other with BB guns. At least three boys were arrested, and King-Smith said they will likely face aggravated battery charges after several teens were shot with BBs, including a 13-year-old boy who was shot in his face. Two more boys likely face more serious charges after a University of Chicago police officer was punched in his face while trying to break up a fight at 9:40 p.m. Tuesday night at 53rd Street and Lake Park Avenue. Emanuel took in some of the mayhem when he unexpectedly showed up around 7 p.m. to eat dinner at A10, 1462 E. 53rd St. Volunteers on the street said the teens quickly noticed him sitting in the window of the restaurant. “They were making faces at him and crowding around the window,” Julie Less said. She said he left quickly and quietly after his dinner at 7:45 p.m.
A mayoral spokesman was not immediately available to comment. Shortly after the mayor left, Obama’s motorcade drove down Lake Park Avenue at 8:15 p.m. on its way to an event for his foundation at the Museum of Science and Industry. His appearance added energy to the restless crowd, which set a fire in a dumpster behind the BP gas station at 5130 S. Lake Park Ave. The neighboring McDonald’s, which had been a focus of trouble with teens last year, closed early this year, which King-Smith said helped keep the teens from gathering in too large numbers in a single spot. 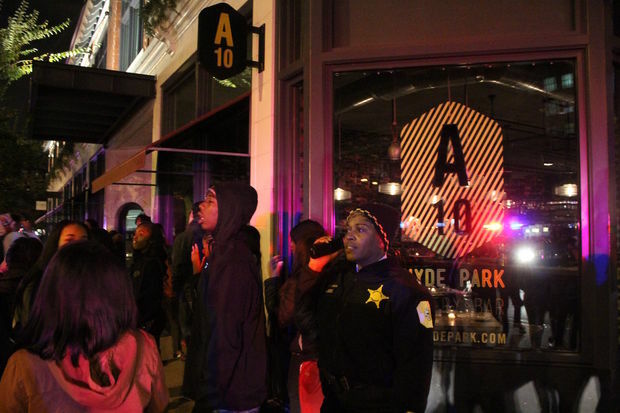 She said it was still a challenge to control the crowds, and teens were making 911 calls elsewhere in Hyde Park to draw police away from where the teens wanted to go. A party on the Midway Plaisance organized by 4th Ward Ald. Sophia King and 5th Ward Ald. Leslie Hairston meant to draw teens away from 53rd Street apparently flopped, failing to attract more than a handful of teens the entire night. Volunteers said teens refused to get on the buses and shuttles meant to ferry kids to the party on the Midway. Police reported recovering as many as eight BB guns, and many officers said they were on edge the whole night because many of the BB guns looked like real guns, and several teens were brazen enough to shoot at each other in front of police. 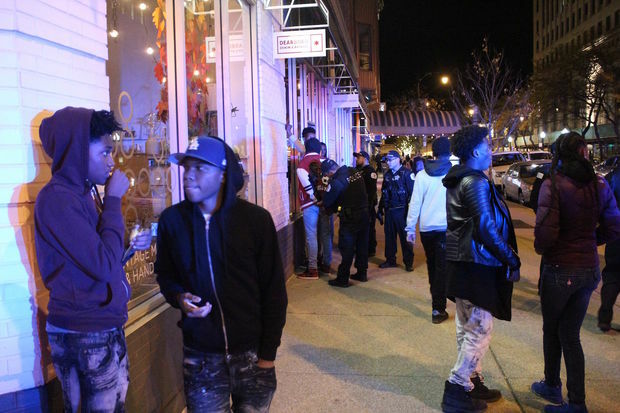 It was unclear as of 10 p.m. Tuesday how many teens were arrested, but at least five were taken into custody. 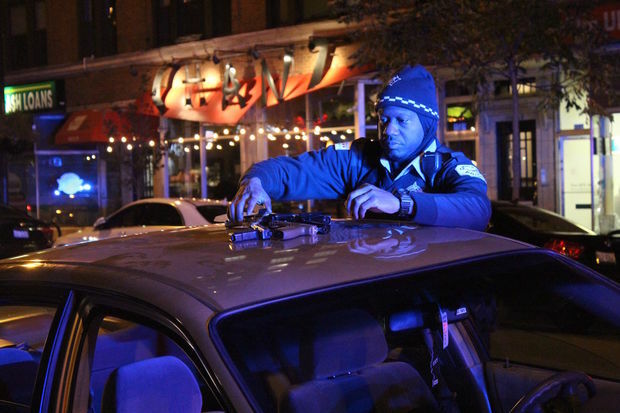 University of Chicago police reported two armed robberies Tuesday night blocks away from the main gathering on 53rd Street. At 8:30 p.m., a U. of C. student was robbed in the 5400 block of South Cornell Avenue by a person with a handgun who jumped out of a gray car. Another U. of C. student was robbed in the 5600 block of Kenwood Avenue by a person with a handgun who ran to a waiting gray car on 57th Street.